Chief Jumbe of the Kunda speaking people of Mambwe district, Eastern Province has reprieved three teenage girls from marriages and has since outlawed the practice. Chief Jumbe has since warned against child marriages in his chiefdom saying parents should prioritize education over marriages. “Young people are the future leaders of the country, so allowing them to get into marriage is detrimental. The retrieved 3 girls were in grade seven and made it to grade eight. Then they were married, it is unacceptable,” said Chief Jumbe. Last week Chief Zingalume of the Chewa people in Chadiza district, Eastern Province attributed high rate of teenage pregnancies and early marriages recorded in his chiefdom to girls dropping out of school. In a telephone interview with newsdayzambia.com the traditional leader called for concerted efforts by other traditional leaders to combat the trend that had only managed to reinforce high poverty levels in the district. Chief Zingalume said the district which borders Malawi had recorded a minimal reduction of the teenage pregnancies and early marriages since they introduced by-laws protecting the minors against perpetrators of the vice. “This time Chadiza has seen a reduction after we launched the by-laws end of last year. The laws are really helping in our district, we now want to launch the campaign at chiefdom level more in areas where parents are still not taking their girls to school and instead push them into marriages,” said Chief Zingalume. Last year over 24,000 teenagers were impregnanted in Eastern Province. 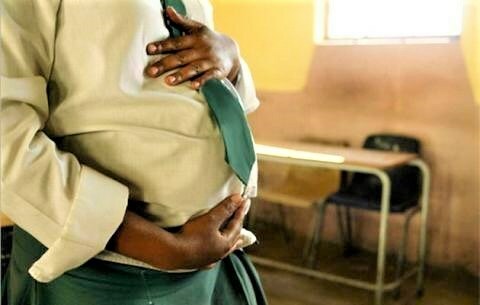 Then Provincial Permanent Secretary, Chanda Kasolo, said a total of 24,731 teenage pregnancies were recorded in the province from January to December 2018. Kasolo said the high numbers of adolescent pregnancies of girls between 12 to 20 were alarming. “Chipata district recorded the highest with over 5,000 cases, seconded by Lundazi with over 4,000 teenage pregnancies. Petauke was third with 3,792, Katete district fourth with 2, 675 while Mambwe recorded 1,198. Kasolo said Chadiza district recorded 1,419 with Nyimba recording 1,481.